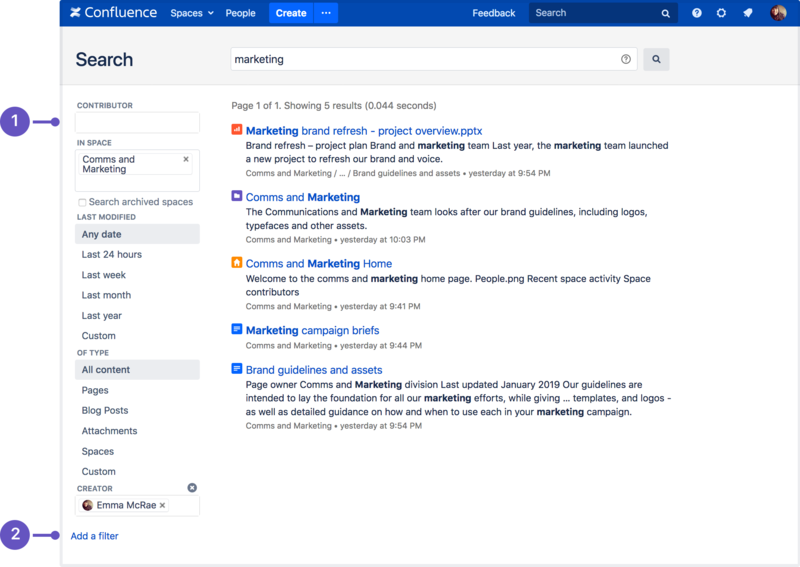 Click the search field in the top-right of Confluence to open the search panel. 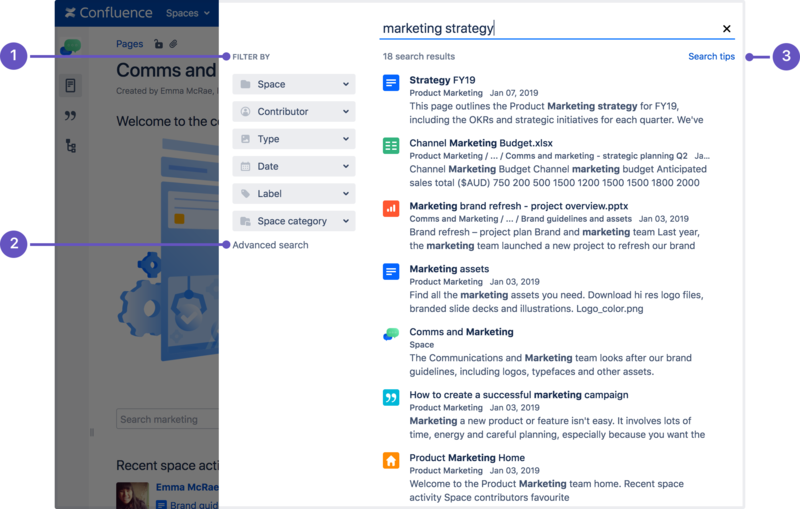 Search filters – refine your results by space, contributor, type, date, label, or space category. Use the space filter to find content within a particular space or list of spaces. The space you're currently in will appear at the top of the list by default. Start typing the space name and choose from the list of suggested spaces. Click the toggle to search within archived spaces. 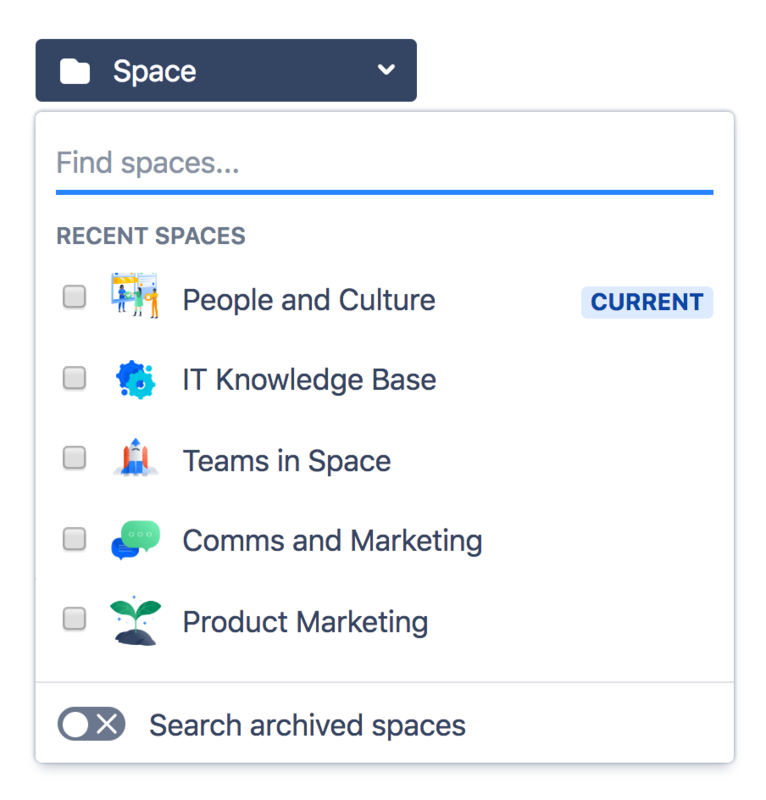 Use the space category filter to search within a group of related spaces. Start typing the category name and choose from the list of possible matches. You can browse existing categories from the Space directory.